George graduated from the Aristotle University of Thessaloniki, in 2011. He subsequently spent three years in small animal practice in the UK before returning back home to Cyprus. He is currently working as a Small Animal veterinary surgeon in Nicosia, Cyprus. He has a special interest in soft tissue surgery and is currently studying for a Postgraduate Certificate. Since 2016, George has been an elected member of the Board of the Pancyprian Veterinary Association and he also became a member of the Royal College of Veterinary Surgeons in 2012. Xenophon graduated from the Aristotle University of Thessaloniki in 2003. He worked for two years in a Small Animal Practice in Cyprus before he spent two years as an intern in the Small Animal Surgery department of the same university. 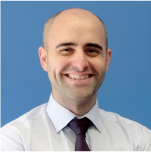 Since he returned back to Cyprus in 2007, he has been practising as a Small Animal Veterinary Surgeon with strong interest in Small Animal soft tissue surgery and orthopaedics. Since 2016, Xenophon has been the vice-president of the Board of Pancyprian Veterinary Association. David qualified from the Royal Veterinary College, University of London with Distinction in 1986. After short spells in mixed animal practice in Hampshire and small animal practice in London, David established the Arrow Veterinary Group in Swindon with his wife Alison in 1990. This involved the setting up and development of two new small animal pet-care centres, to create a four-vet practice providing a wide variety of clinical services. He founded Improve International along with three other veterinarians in 1998. Improve was set-up with the remit to provide structured and integrated modular training to the veterinary profession. He was the Marketing Director from 1998-2003, taking on the role of Managing Director in 2003. In this role, he is responsible for overall business development across all of the different countries. The Improve portfolio currently includes a range of 20 modular training programs for veterinary surgeons and 6 modular programs for veterinary nurses, along with a series of short update and practical skills courses. 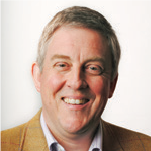 David leads a team of 25 based in the UK and Portugal offices, delivering training in 13 different European countries. Heber graduated in Veterinary Medicine at the University of Tras os Montes e Alto Douro (UTAD) in Portugal in 2003. After doing an internship in Brazil in the University of São Paulo State (UNESP) and in Portugal in the UTAD, he was invited to become assistant lecturer of Anaesthesiology in UTAD in 2005. In 2007 he completed his Diploma of advanced studies awarded by the University of Leon in Spain and in 2011 his PhD by the same University. He developed his own line of investigation during his PhD, through the refinement of laboratory animal anesthesia. Since 2007 until 2011 he was also researcher at the Institute for Molecular and Cellular Biology (IBMC) of the University of Porto – Portugal. In 2007, he was invited to become Country director of Improve Iberica, responsible for the development of the business in Portugal and Spain. After 2011, he became a member of the Board of Directors of Improve International as Operations Director, responsible for strategic development of the business in continental Europe and also new markets. Rui Lobão graduated in Veterinary Medicine by The University of Tras os Montes e Alto Douro (UTAD) in Portugal in 2003. 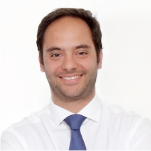 From 2003 to 2009 he has worked in several private practices in the Oporto metropolitan area. In 2007 he was invited to help establishing the Improve International business in Portugal and Spain and has been actively involved in the Improve International project ever since. After 2011, he became a member of the Board of Directors of Improve International as Business Development Director, responsible for the expansion of the company to other countries.